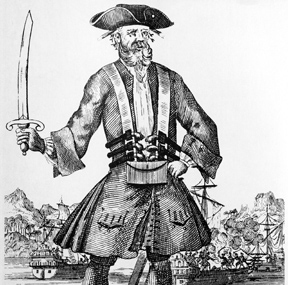 Blackbeard the pirate's flagship, the Queen Anne's Revenge, was discovered in 1996 by Intersal, Inc. Join Nautilus Productions & underwater archaeologists from the Blackbeard's Queen Anne's Revenge Shipwreck Project as they explore the 300 year old wreck site near Beaufort Inlet, NC. 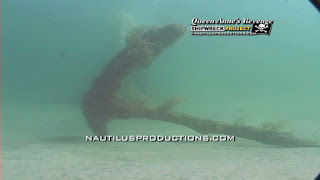 Click here for Blackbeard's Queen Anne's Revenge videos. 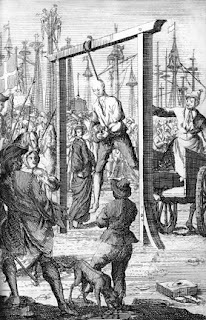 December 10, 1718:While awaiting his execution, pirate Stede Bonnet writes to Governor Johnson, begging abjectly for clemency and promising to have his own arms and legs cut off as assurance that he would never again commit piracy. Charles Johnson wrote that Bonnet's visibly disintegrating mind moved many Carolinians to pity, particularly the female population, and London papers later reported that the governor delayed his execution seven times. Bonnet was eventually hanged at White Point Garden, in Charleston SC, on this date. 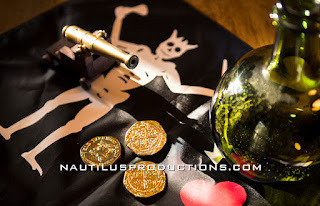 http://nautilusproductions.com/projects/queen-annes-revenge.